Gurgaon, September 08, 2017: On the National Sports Day, four Private Universities located in the Delhi NCR region Ashoka University, Sonepat; BML Munjal University, Gurgaon; O. P. Jindal Global University, Sonepat and Shiv Nadar University, Greater Noida came together during the last Session, in a historic union to constitute and commence the ‘Banyan League’, a sporting interaction initiative. The Prize Distribution Ceremony of the Inaugural ‘Banyan League’ was organised at BML Munjal University Campus recently. The unique sporting event conducted session 2016 -17 in the 6 disciplines of badminton, basketball, cricket, football, table tennis, and volleyball. With the teams giving each other tough competition the tournament saw a lot of close encounters. Sportsmen in the field showed a lot of promise, talent and spirit throughout the tournament. 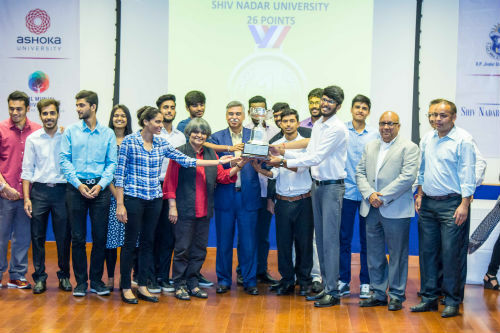 The Overall tournament was won by the Shiv Nadar University. Addressing the medal winners at the prize distribution ceremony, Mr. Akshay Munjal, President, BML Munjal University, said, “As good hosts, we have come last; I appreciate the efforts of all sportsmen and hail the games as a true display of sportsman spirit. The sky is the limit for mutual growth and cooperation. I also want to acknowledge the hard work of all the sports committee members and congratulate all volunteers for organising this tournament”. 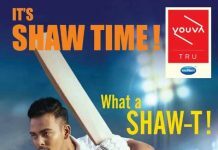 With each university playing the other in rotational matches during the entire season, players from all the universities were able to take back memories ranging from gritty encounters to fabulous victories. Mr. Akshay Munjal concluded the ceremony by extending his appreciation to all the sponsors and participants.